Reliance Jio has been one of the most hyped thing as of now in the telecom industry and among smartphone users as the carrier is offering three months of unlimited data. Everything was possible due to the service extension across devices in many phases. 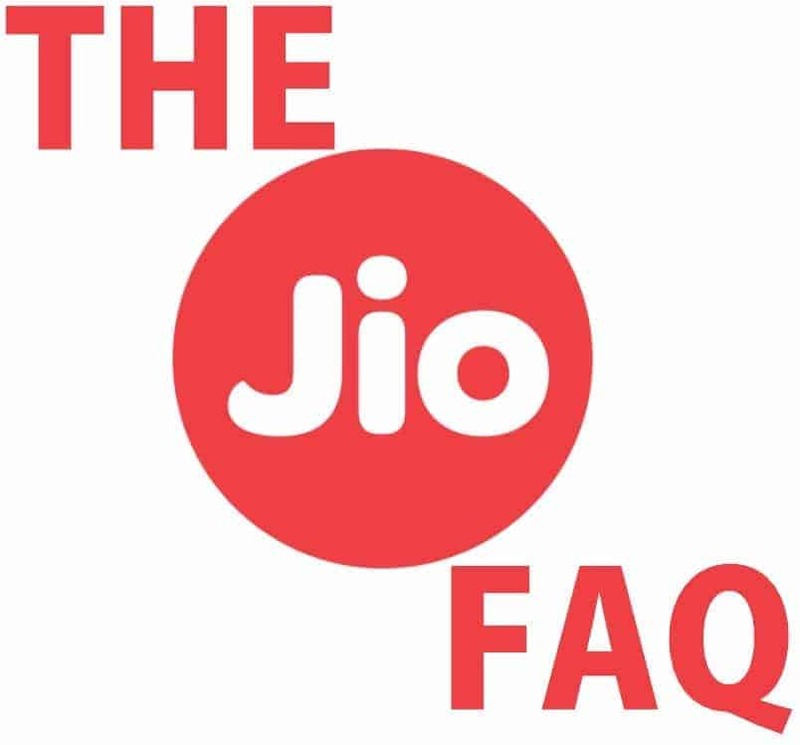 But,many people are in doubt due to recent updates so I thought maybe we should help people a bit with a complete Jio FAQ. This complete Jio FAQ is completely based on the queries I personally faced. Launch of LYF handsets- Purchase a LYF handset and get a Jio SIM with three months of unlimited voice, data and SMS. JioNet Wi-Fi- Jio starts setting up Wi-Fi hotspots across various cities in India and also in six cricket stadiums for the ICC Cricket World T20 2016. Jio extends to Samsung Smartphones- After LYF, Jio offered free SIM card with some of the phones from Samsung Galaxy A Series and Galaxy S6 and S7. The SIM card came with Jio Preview Offer which let the users enjoy 3 months of unlimited usage. The offer extends to more and more smartphones- Not just the flagships or premium phones from Samsung, Jio Preview Offer extends to budget and mid-range phones from Samsung and to some LG smartphones as well. Public availability- It is being said that the offer is now valid for any 4G smartphone user. We will later talk about it. So, it is very clear that Jio is trying hard to gain a lot of users by providing such a good offer. Now, I just got a new Jio SIM card yesterday using my Galaxy J7, and many people have reported that they were able to get the SIM card without a Samsung or LG phones. So, here’s the complete Jio FAQ you must check out. 1. I have a Samsung or LG phone. Can I get a SIM and avail the Jio Preview Offer? If you have a Samsung or LG phone, firs of all check out the officially listed devices which are eligible for the offer as per latest update from Jio. 2. I can’t find my phone’s name in the list, can I get a SIM? Maybe, may not be! Even we don’t know yet. While some Reliance Digital personnel are offering a SIM immediately, some other are not. And it completely depends upon how they have been instructed to distribute the SIM cards. 3. I just read it on your blog or somewhere else that Jio Preview Offer is available for any 4G phone. Is it true? Yes! No! Maybe! We have not received any official Press Release mentioning that the Jio Preview Offer is available for any 4G phone, so it will be better not to say that it is available for all. At first we got the update from some of our friends and people who have tried to grab a SIM using any phone. Some of them succeeded, some were not. But as far as I know, Chetan Bhawani, who’s the founder and Editor of Gizmotimes was successful in getting a Jio SIM card with showing any of the devices specified. Well, those who didn’t get a SIM as the employees refused to provide SIM cards citing that they did not receive such instructions from Jio. 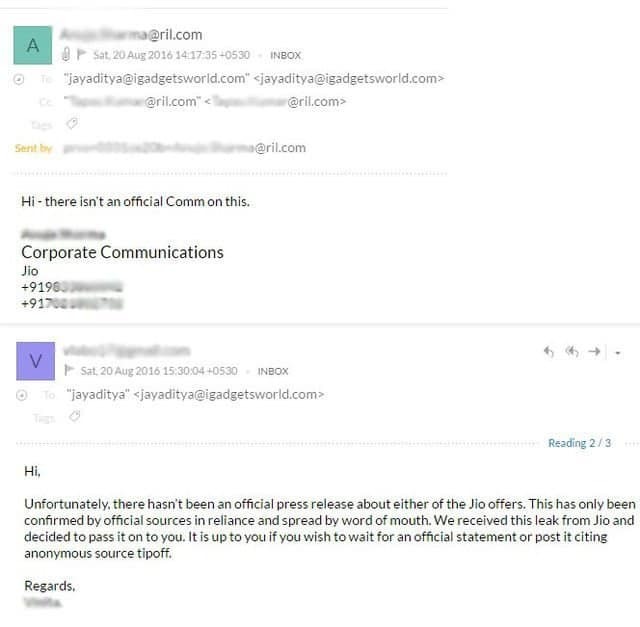 And as per the communications we had with Jio, they have mentioned that they didn’t announce anything, but it was spread by word of mouth via Jio employees. I have a Samsung or LG phone. How to get a SIM and avail the Jio Preview Offer? Just download the MyJio app from Play Store and install all Jio apps afterwards. Then generate the code and show it to the Digital Store/Jio staff to get a new Jio SIM card. To avail the Jio Preview Offer, you must sign into MyJio app using your Jio SIM card and when you see the pop-up about the offer, tap ‘SUBMIT’ and the Jio Preview Offer will be activated immediately with three months of unlimited usage. I just activated my Jio SIM, but in the MyJio app it shows only 2.0GB of data, 100 mins calling and 100 SMS? How to avail the offer? Just clear the MyJio app data. In case you haven’t installed all Jio apps do it fast and open MyJio app. While you are prompted to sign up or sign in, just skip. You will be signed in automatically and you will see a popup confirming that you have successfully availed the offer. Can I use my Jio SIM card in any phone? Ye. After you have activated your SIM card and claimed the Jio Preview Offer you can pop the SIM into any other 4G supported phone and enjoy the blazing fast Jio, unlimited for three months. To get a SIM card, what documents are required? The process if getting a Jio SIM card is simple. You must submit your ID and address proof along with passport sized photographs. That’s all, no big deal. What if I were denied a SIM card as I don’t have a Samsung or LG handset? You have got two options. Either you will have to wait or you can try to find out if anyone in your family or even any of your relatives who uses any of the phones specified in the list. Well, that’s all for the Jio FAQ. If you have any other queries, you can drop them down in the comments section below or directly contact us on Facebook. Next articleAre You a Photography Enthusiast? Here are 5 Cheap & Best Cameras for You!